Wow so its been awhile since I’ve had any sort of allergic sneezing spells! But I can’t even sit very long before I start another sneezing fit! 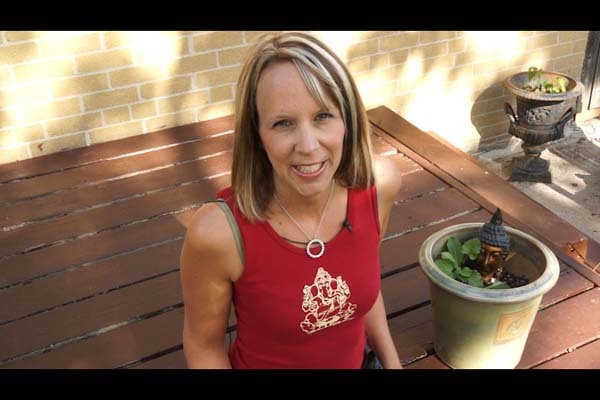 What kind of yoga could I do that would stop the sneezing? Gah this is so frustrating! Allergies are usually a form of a weakened immune system. Make sure to keep your immune system strong by cutting out sugar which weakens the immune system like nothing else. 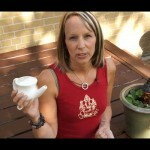 Also I have an immunity boost video which is available in our shop and also on our membership site. This may also be something you wish to have a personalized practice created for as well. 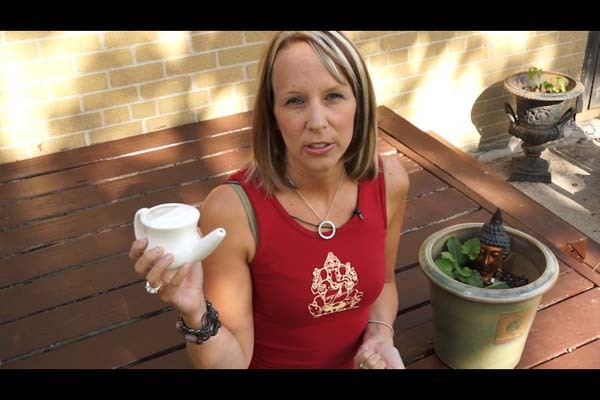 Also kapala bhati breath is fantastic for allergies – the one with the active exhalation and the passive inhalation. It clears the nasal passages from pollens. 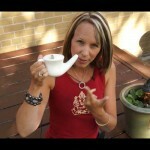 The neti pot is an amazing tool for those who suffer with allergies. 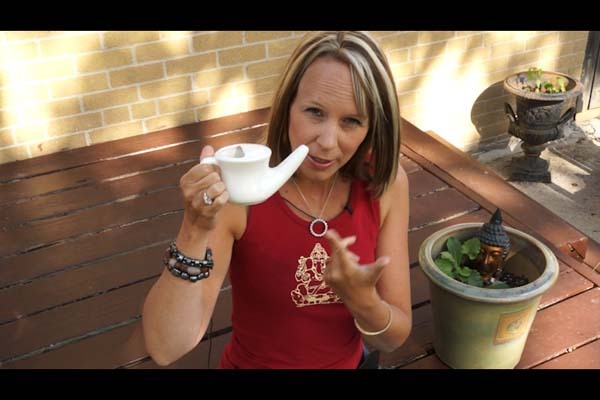 It cleanses the nasal passages from pollens and many allergy sufferers report a drastic reduction in their allergy symptons when they use their neti pots every day. One last thing I’ve heard is great for allergies is to eat honey that is made as locally as possible because this will be created from local pollens and will help you build an immunity to local pollens.